My first visit with Angelika and her parents at her beautiful place was coming to an end. 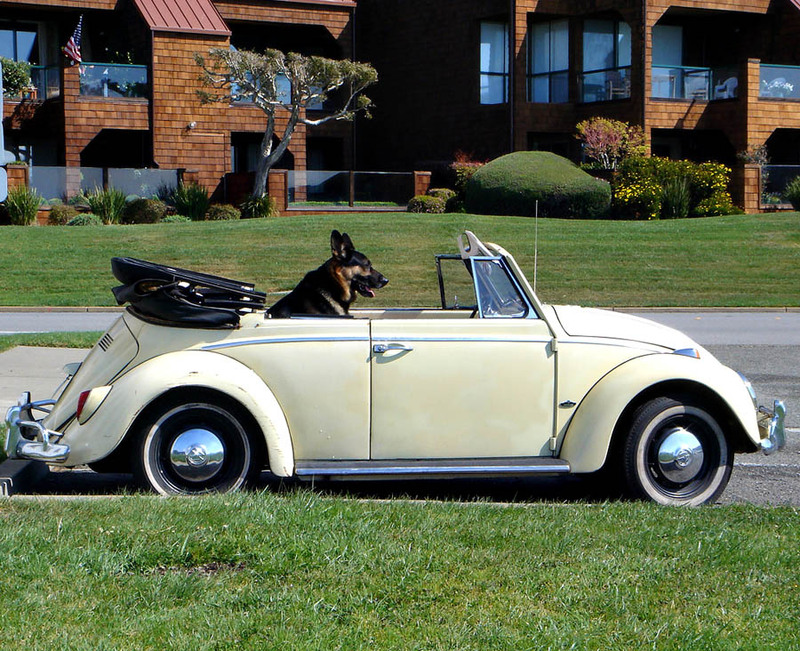 Her dad told us to go to his Volkswagen Beetle so he could drive me home. When Angelika and I were settled on the backseats, Torro jumped in last and I could see how happy and proud he was to sit beside his master. For me a car ride was a special experience since we never owned one. We rode by bus or train and did a lot of walking and biking. Initially I enjoyed the ride in the cute little Beetle but the closer we came to my street, the more apprehensive I felt. I did not want Angelika and her dad to see The Old House of Rocky Docky. I felt ashamed to live in such a shabby small place and feared I would never be invited by Anglika again. I feigned carsickness and asked to walk the last stretch home. I think Angelika’s dad sensed why I wanted to get off and let me go without protest. My fears were unfounded.The next morning Angelika’s parents visited my mother and asked if I could spend as much time as possible at their home. My mother was happy with the prospect to know I was at a safe place while she was gone fighting for my dad’s pension. From that day on I spent almost all my afternoons with Angelika and often stayed overnight on weekends as well. Angelika and I became close like sisters, We both were ambitious and spent time together to study and do homework to get good marks. There was competition between us but we also cheered for each other’s accomplishments. I noticed that Angelika was very reluctant to show affection to her parents although they showered her with love and attention and seemed to fulfill all her wishes. When they tried to hug her or kiss her she withdrew quickly or pushed them away. That puzzled me. Her parents were such lovable kind and good looking people. Angelika’s father often asked me in a half joking way. “Do you hug and kiss your parents?” Of course I did and I told him so. But that did not change Angelika’s attitude towards physical closeness with her parents. Angelika’s parents got married very young towards the end of the war. Her mom was still in medical school studying medicine when she became pregnant. Angelika’s dad was fighting at the front. Angelika’s mom decided to put her new born daughter in a foster home with the intention to get her back when her husband returned and she had completed her studies. Angelika never talked about the time she spent in foster care. But she often told me that she always wanted a sister or a brother, She envied me for having a twin brother, She thought I was never lonely and had always a close friend. I did not want to shatter her illusion, but at that time my brother and I didn’t love and appreciate each other at all. I have wonderful memories of the time I spent with Angelika at her loving home. Her parents would do anything to make life after school pleasant for us. They’d take us to fancy pastry shops and we could choose the delicious cakes and sweets for our afternoon snacks. After we completed our assignments we would sit on Angelika’s bed, our feet dangling onto Torro’s warm fur and we would talk and daydream and joke around, laugh and giggle. Her mom and dad seemed to like hear us laugh and giggle. One morning in school Angelika was missing. Mecki told the class that she was very sick and would not be in school for a while, I was shocked. She seemed fine the day before. My mother looked very concerned when I came home and told me that I could not visit Angelika because she was too ill. I was very worried and missed her terribly. Finally one day my mother told me that Angelika’s parents wanted me to see her because she had asked for me. Angelika’s mom looked pale and thin. She took me by the hand. “Please, don’t tell her how shocked you are when you see her”, she pleaded. In spite of the forewarning I was shocked. Angelika was lying in her bed. She had sores all over her skin and mouth and she looked very pale. But she managed a small smile in greeting. Her eyes even sparkled a bit. She told me that she had a severe blood disorder and needed a bone marrow transplant. But now she t was on the road to recovery. She told me about all the strange things she had to eat to get better. “Next time you come you have to try sprouted wheat”, she told me. When I told her stories from school, she even managed to laugh a little. “The sores in my mouth still hurt a bit”. she said, but she seemed proud that she had overcome her illness. “I could have died, but I made it”. Every day I visited her after school and I could see how she was getting stronger. But she never came back to school. Another shock was waiting for me. 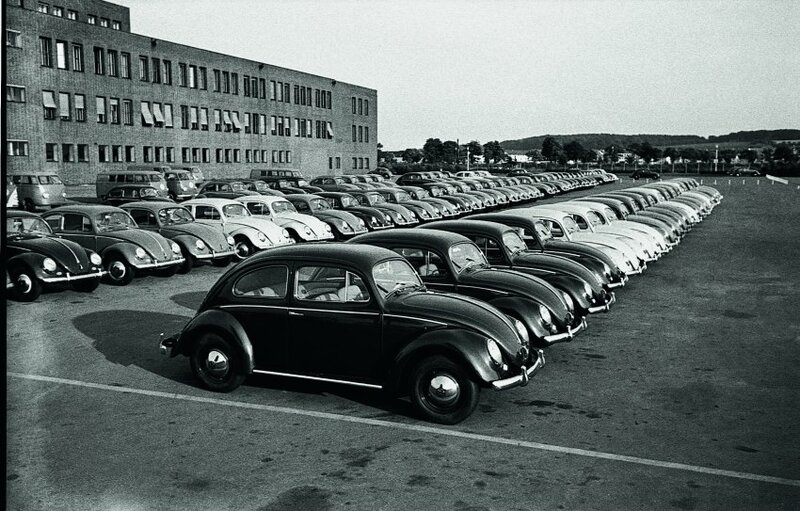 Angelika’s dad was being transferred to Wolfsburg where the famous Volkswagen was manufactured. They would be moving soon. One day when I returned home from school, my mother told me with a trembling voice and tears in her eyes that Angelika’s parents had asked her, if they could adopt me so Angelika would not loose her best friend who was like a sister to her. They even tried to fulfill this wish. Although my mother deep down knew my answer she still asked me if I wanted to be adopted to have a better life. I was very sad she even asked me. I visited Angelika in Wolfsburg the following year. We wrote each other for a while until they moved again to Southern Germany, Then I lost contact. Diese Geschichte ist traurig und doch sehr,sehr schön erzählt. Da du dich an diese Freundschaft noch nach den vielen Jahren mit soviel Gefühl erinnerst zeigt,wieviel diese junge Frau dir bedeutet hat.Eine wundervolle Erzählung!